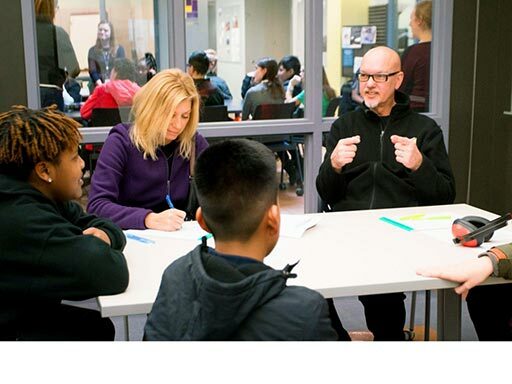 Over 24 KCAD faculty and students along with 4 neurodiverse advisors worked collaboratively to create the Simuli app, and 34 students from the Grand Rapids Public Museum School participated in user-testing. The Simuli VR app is a typical EPIC Project. 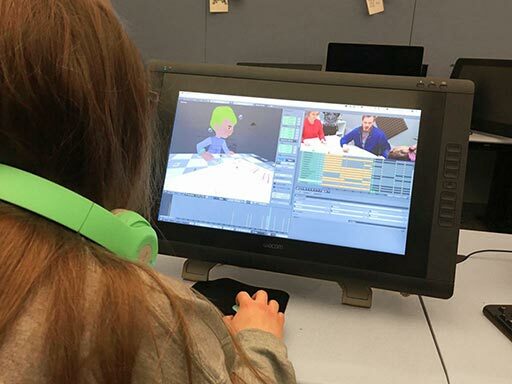 KCAD students and faculty worked in-class, over multiple semesters, with an education collaborator, to develop innovative and accessible media aimed at providing a public service. See more EPIC Project media at epicsite.org. Each of the 3 production teams chose their own scenario. The stories were written in script form and then story-boarded. A list of assets that would appear in the simulation was created and then built using digital 3D software. Voice actors recorded their lines in a sound booth and room noise was developed to mimic a real spaces. 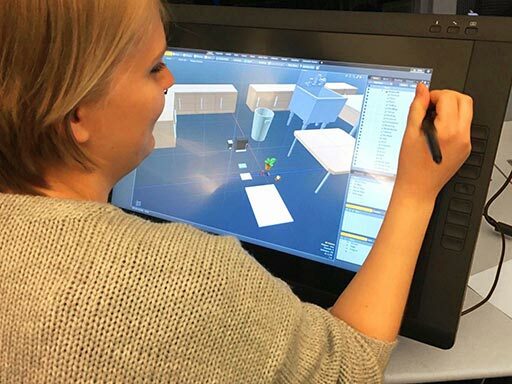 Animators used 3D and 2D software to bring the simulations to life. After the animations, assets, and sound were completed, they were compiled in software called Unity. We installed the simulations onto phones and strapped into some headsets to be sure that everything ran well. We had to be sure that our messages got across to people who had not yet experienced the stories and are part of our target audience. 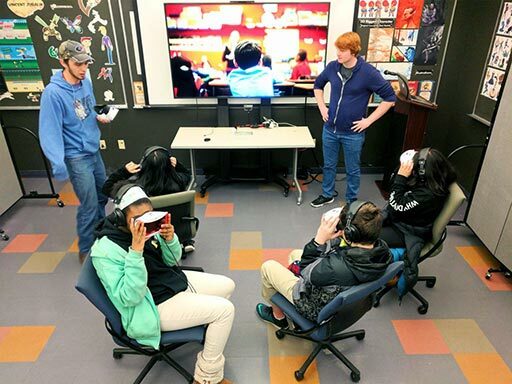 Therefore, we user tested with students from a local middle school. See one of the User Test Reports. Site Design: student Mallory Heiges • Faculty Advisor: professor Bill Fischer.